Camping Aux Rives du Soleil is located in the Ain on the border with Burgundy. The region is a world-renowned wine region. In the vicinity of Camping Aux Rives du Soleil there are several villages and towns that are well worth a visit. Mâcon, located on the right bank of the Saône, is the most important city of the wine region Mâconnais. In the vicinity of Mâcon there are many vineyards, wineries and wine museums. But it is also nice to visit the city itself. A city full of picturesque alleys with old houses. You can explore various tourist attractions while walking around the abbey. Tournus is located on the banks of the Saône. A combination with a visit to the nearby nature park of La Truchère (famous for frogs) is highly worth it. The Benedictine Monastery of Cluny was founded in 910 and became the centerpiece of a powerful monastery reform movement in the Middle Ages. The abbey buildings are not much left at this moment, only the transept with the two towers can still be admired. Discover the rich heritage of Cluny, the beautiful surroundings and do not forget to taste the local produce while visiting this city. Chalon-sur-Saône is located on the river Saône. The city is also known as 'Ville d'Art et d'Histoire'. This can be seen from the many tourist attractions and the three museums in the city. Every year, somewhere in the second half of July, Chalon-sur-Saône is the decor for one of France's biggest street theater festivals for five days. There are over 1000 artists to offer their performances for free. For example, there is something on every street corner; Theater, music, dance, puppetry, acrobatics, parades, etc. 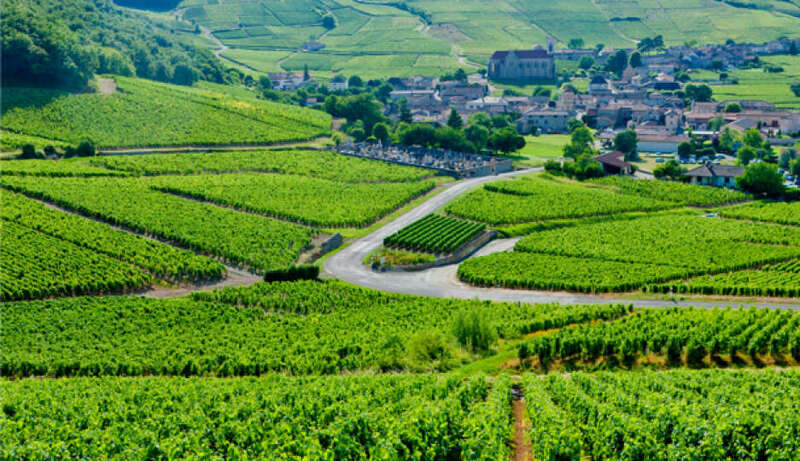 The heart of Burgundy when it comes to wine. In November, the world-famous wine festival takes place. Lyon is one of France's largest cities and is located in the rivers where the rhone and the Saône meet. The city has a rich history and once was the capital of Roman Gaul. There are many remains to be found in the city. Besides these sights, Lyon has been known for centuries as the capital of gastronomy (chef Paul Bocuse). In this city there is room for both the big eater and the gourmet. The city in which Gustave Eiffel, the designer of the Eiffel Tower, was born in 1832, has become famous for the mustard made in this city. During a day of Dijon you can discover different historical sights throughout the characteristic center.